The vast majority of early phase clinical trials fail due to feasibility (e.g. patient recruitment), safety, or efficacy concerns. Although only a small number of clinical trials of CAR-T cells have been done, potential issues with safety, efficacy, and economic viability have already been identified. 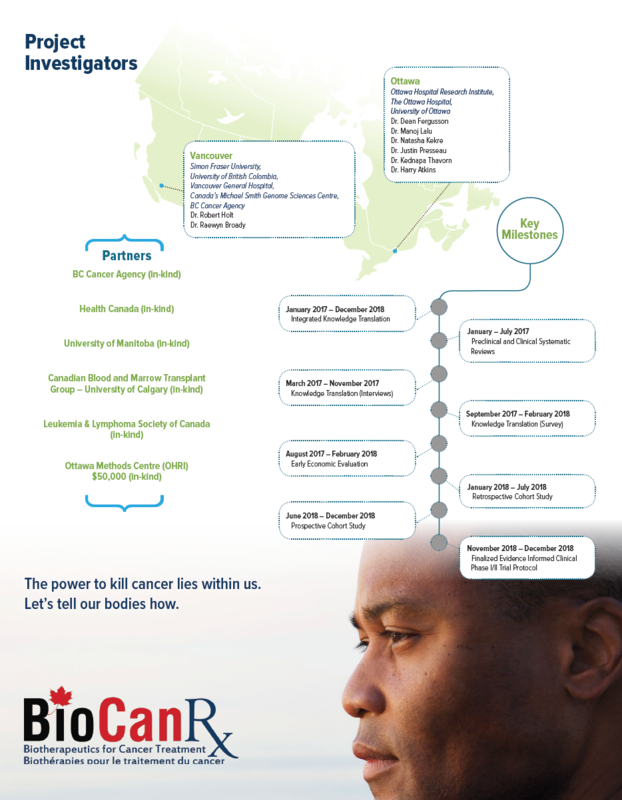 To avoid these pitfalls, the GO-CART Excelerator program will help BioCanRx scientist effectively use CAR-T cells in Canada, a new treatment process for blood cancers. This project team, led by Dr. Lalu, will address these concerns to formulate a trial protocol that will be feasible, safe, effective, and economical. Experts drawn from different disciplines are coming together to create a “team-science” approach. First, they will perform comprehensive reviews of existing preclinical and clinical studies of CAR-T cells to help them understand how beneficial CAR-T cells may be and identify gaps in their knowledge. Then, they will perform knowledge translation stakeholder engagement studies with patients and clinicians to identify values/preferences for an early phase clinical trial of CAR-T cells. They will go on to perform an economic evaluation to ensure they develop a therapy that is feasible for our healthcare system. Finally, they will conduct studies of eligible patients to make sure that the criteria to enter their planned trial will allow enough patients to participate. 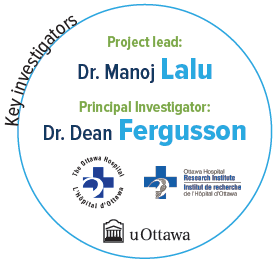 The multi-disciplinary team believes this pilot project will provide a template for future therapeutics to be evaluated and trials to be designed in an evidence-informed manner. This will accelerate safe and effective bench-to-bedside translation while providing a documented and transparent process. 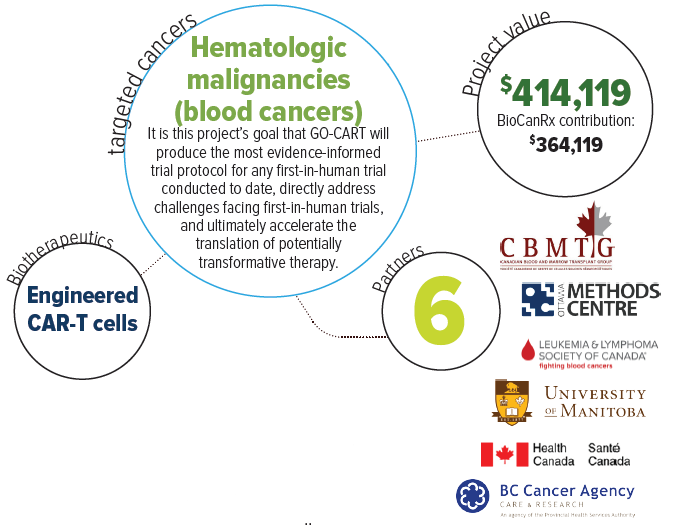 By addresses issues that most first-in-human/early phase trials encounter, this platform will offer a structured method to evaluate available data and design an evidence informed trial protocol for CAR-T cell therapy of hematologic malignancies.